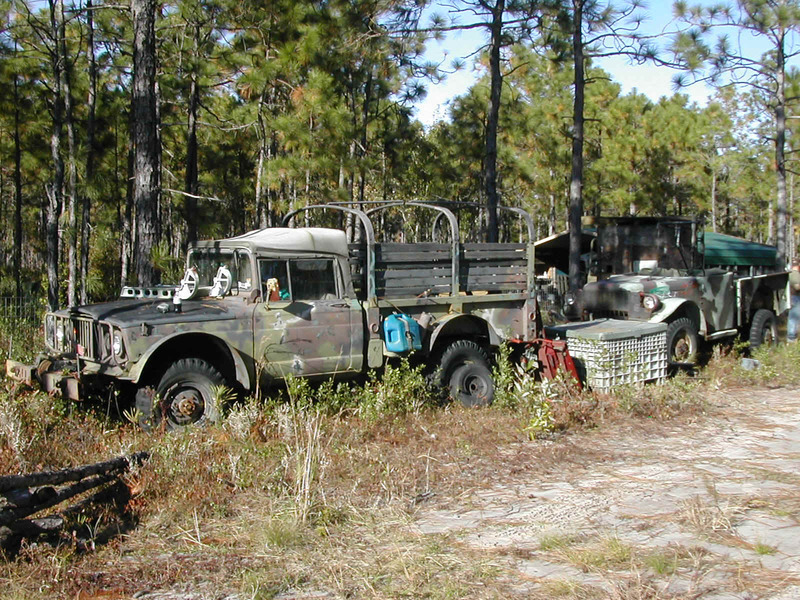 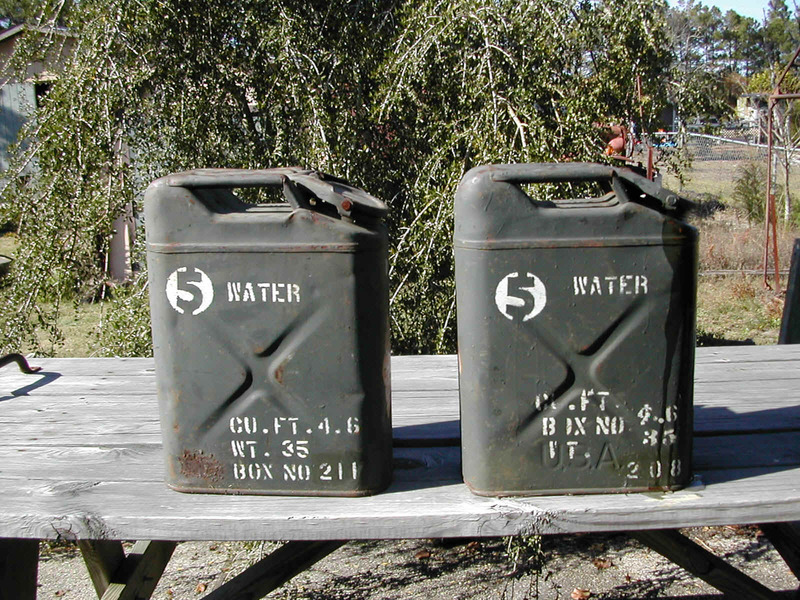 These are some photos that I took when I went to Frank's to pick up a M101A1 3/4 ton trailer for a buddy and some stuff for my collection in 2002. 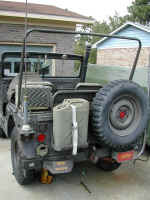 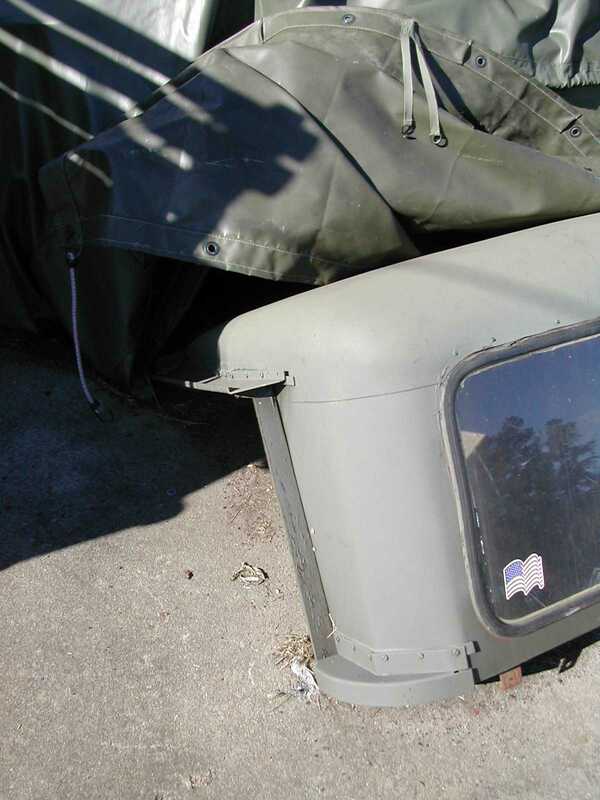 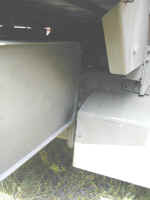 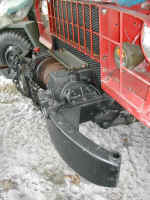 3 Flag mount on the end of the bumpers on Frank's M37 installed during active duty. 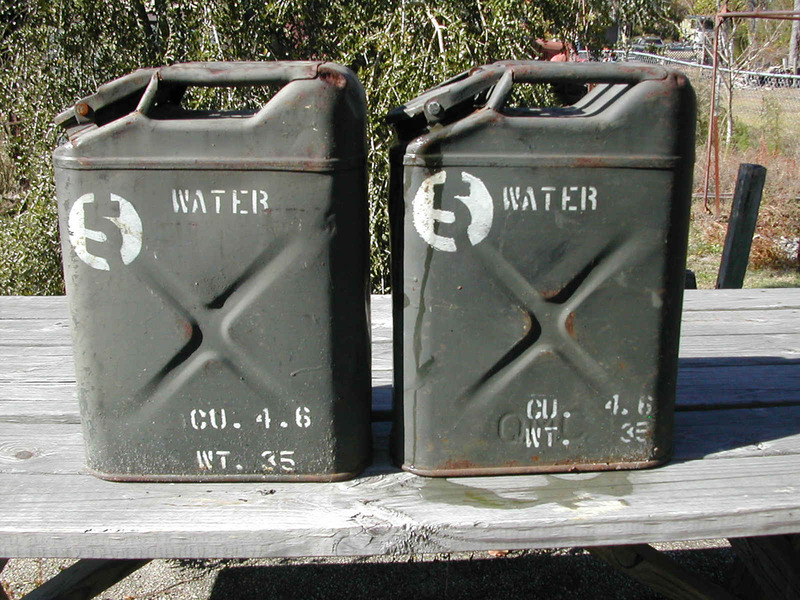 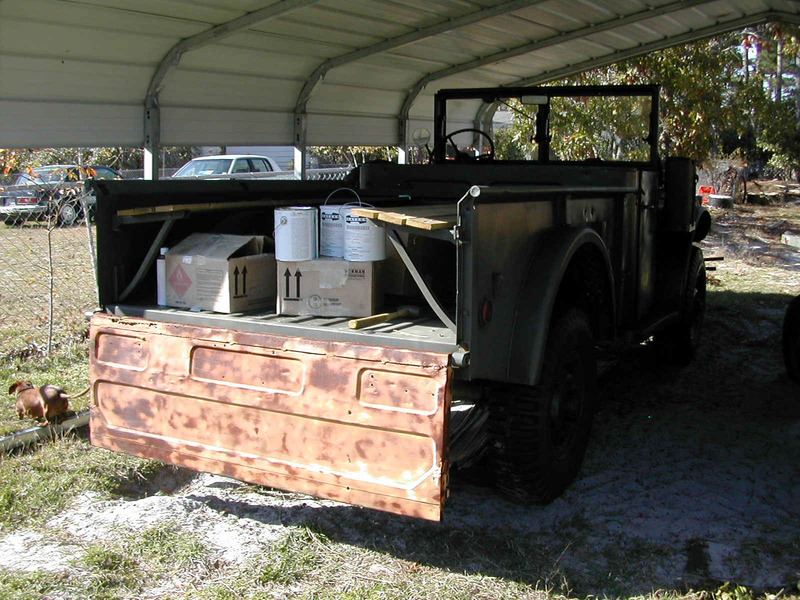 4-6 Shots of Frank's M37. 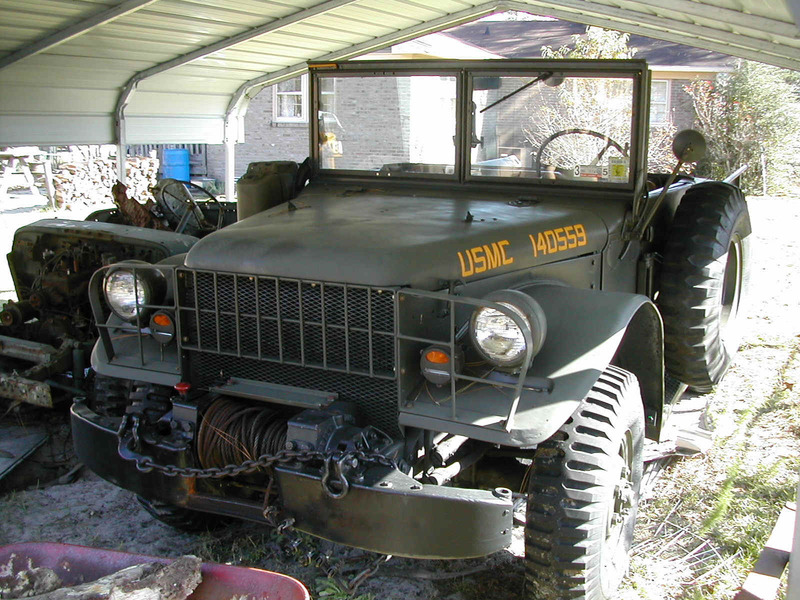 14-15 My M37 hooked up to the M101A1 that I was picking up. 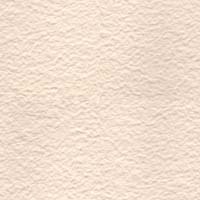 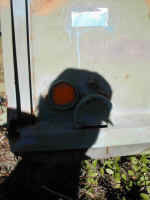 These are photos that I took or that Frank sent me in October of 2003. 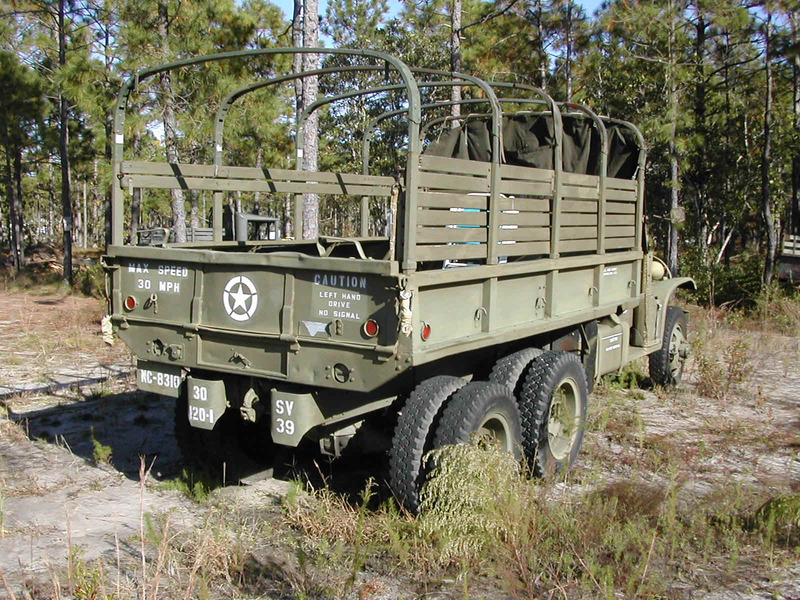 29-31 Airmobile CCKW that is pictured in photos 16-20. 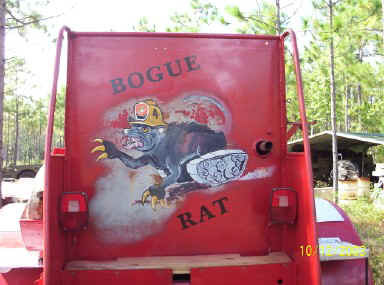 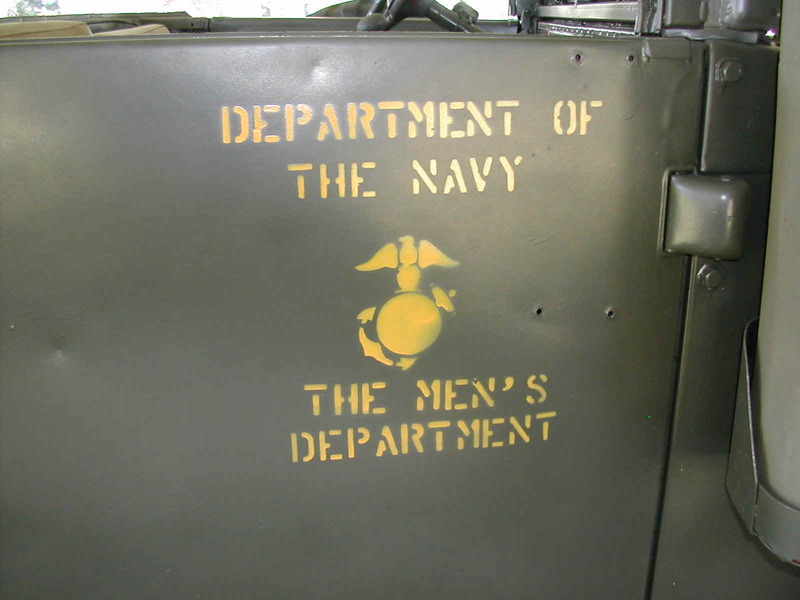 Truck now sports stencils and top bows. 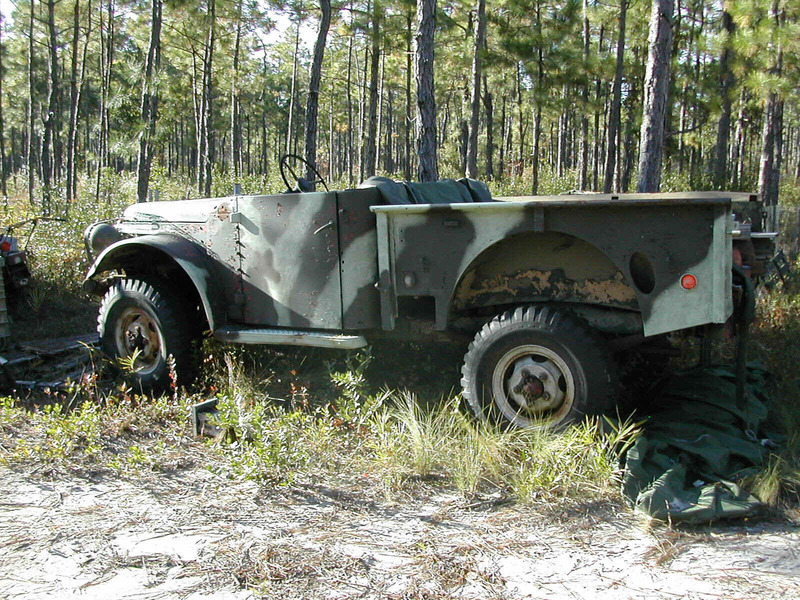 Has complete canvas although not all of the canvas was mounted the day I visited. 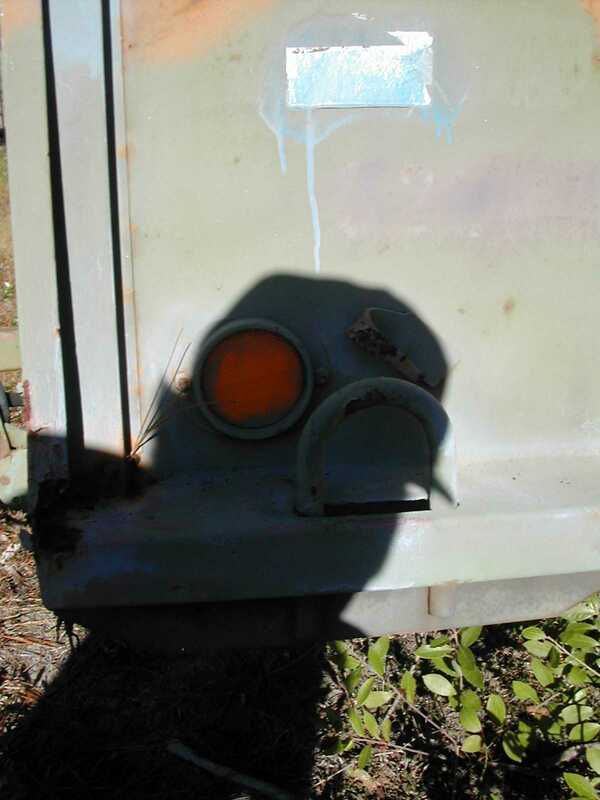 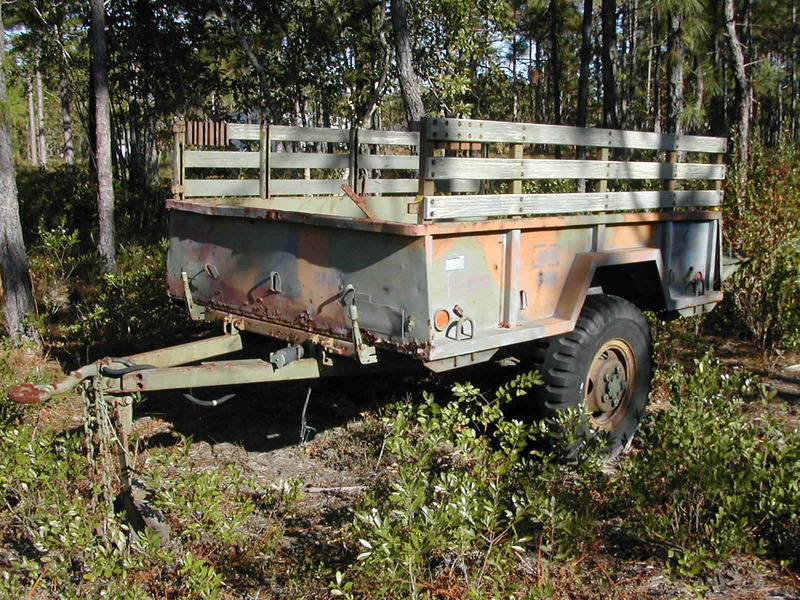 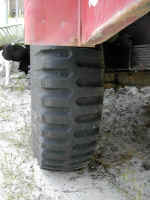 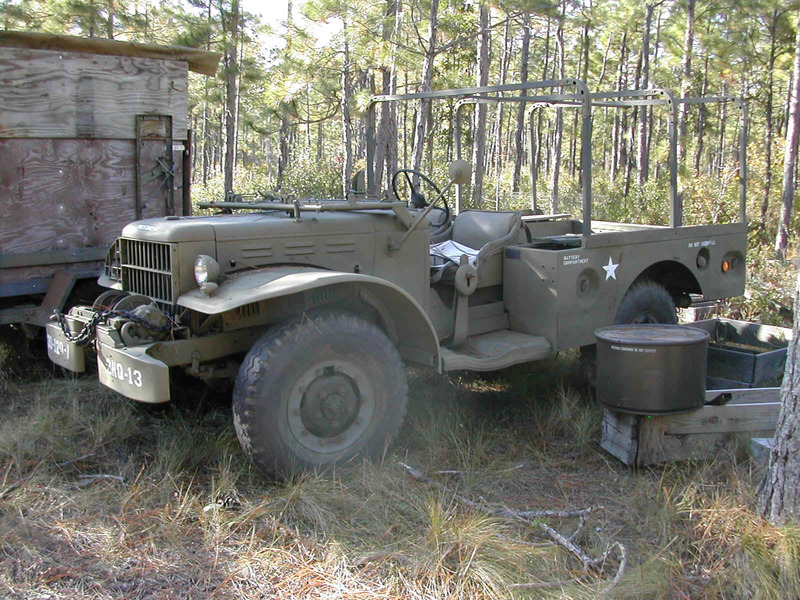 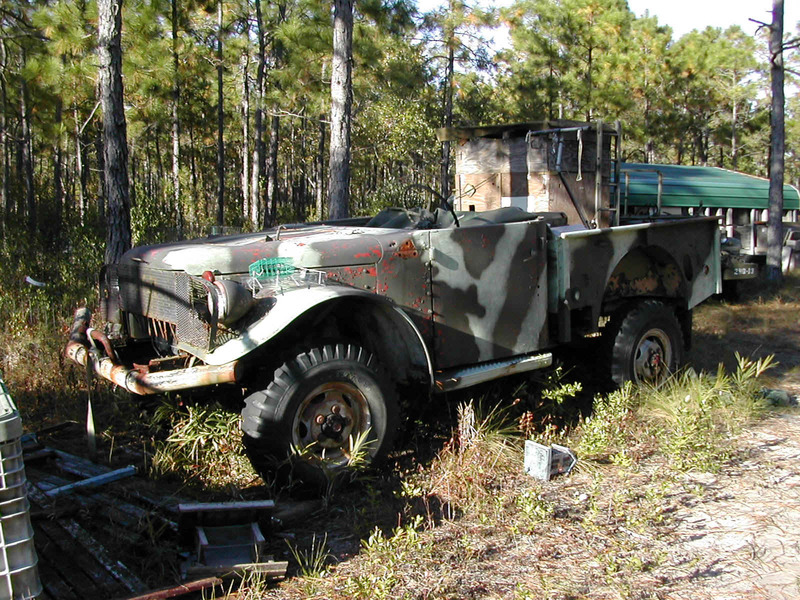 35-36 USMC M101 3/4 ton trailer with photo showing detail (in shadow) of the tie down loop. 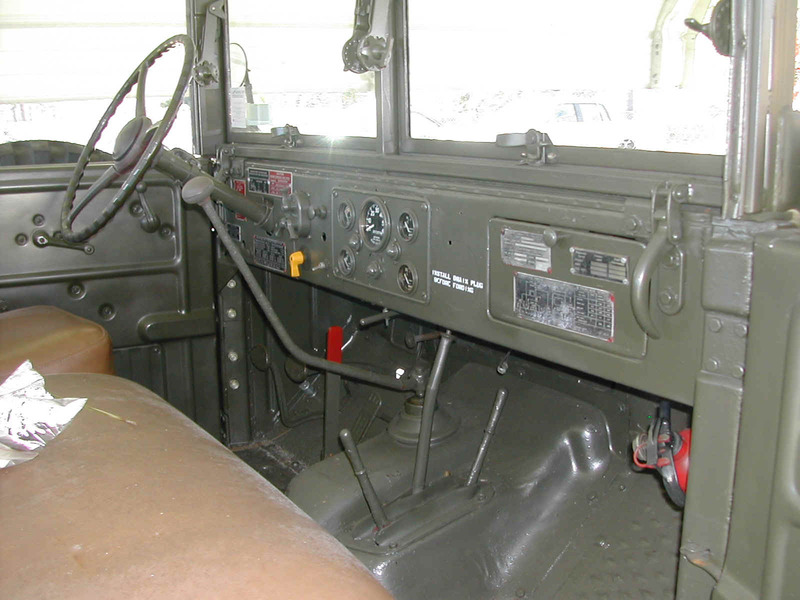 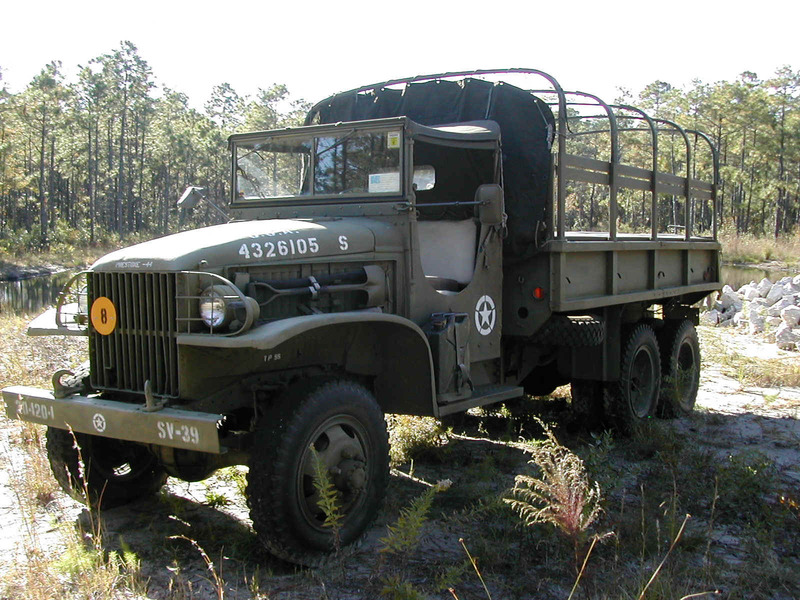 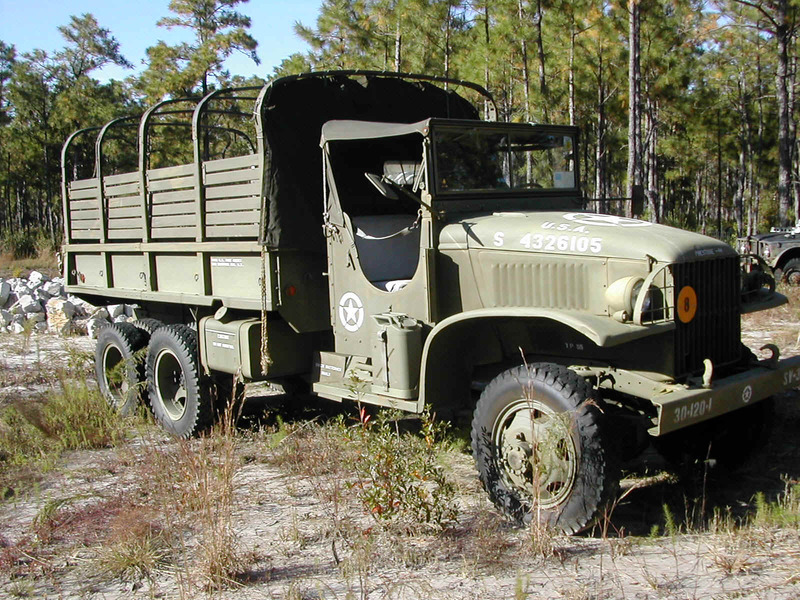 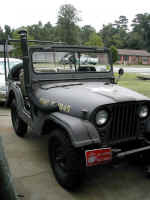 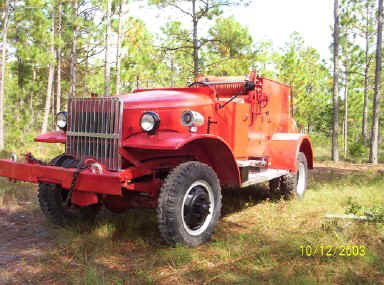 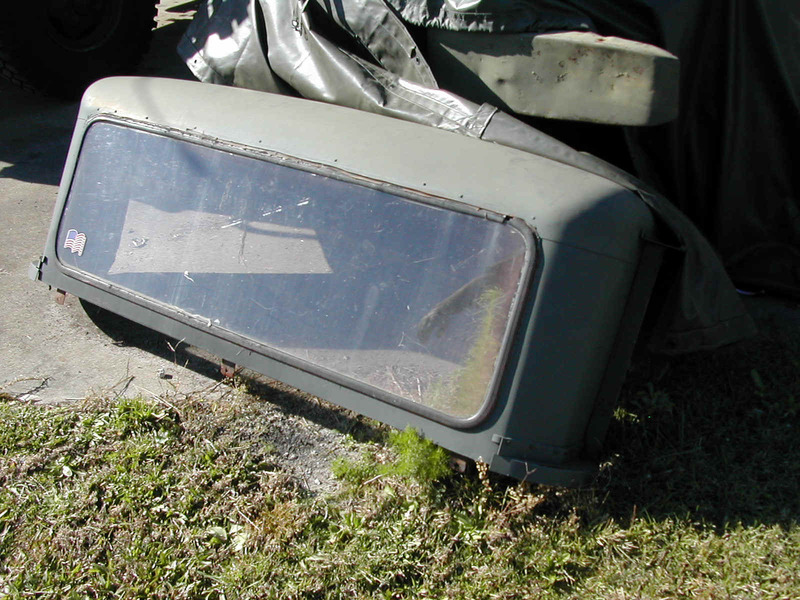 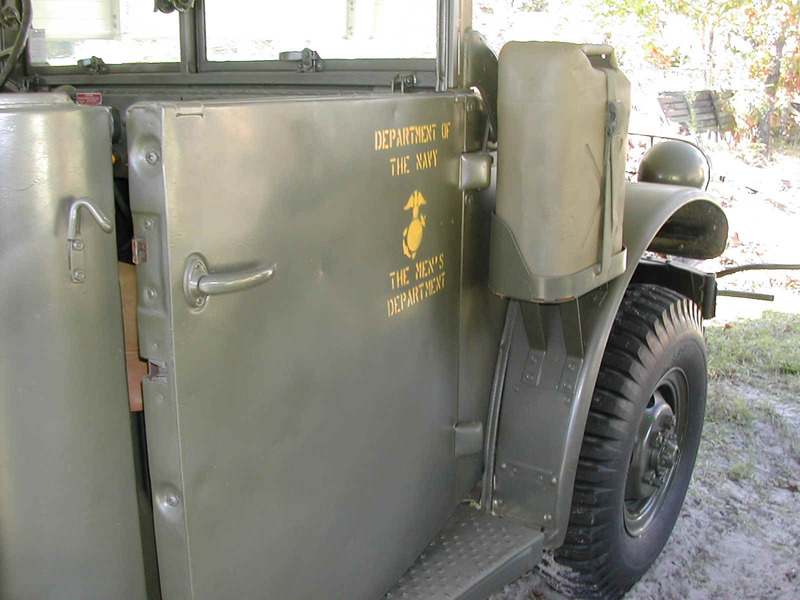 37-38 Military hard cab for a M37 that has a larger rear window as installed by a VFD. 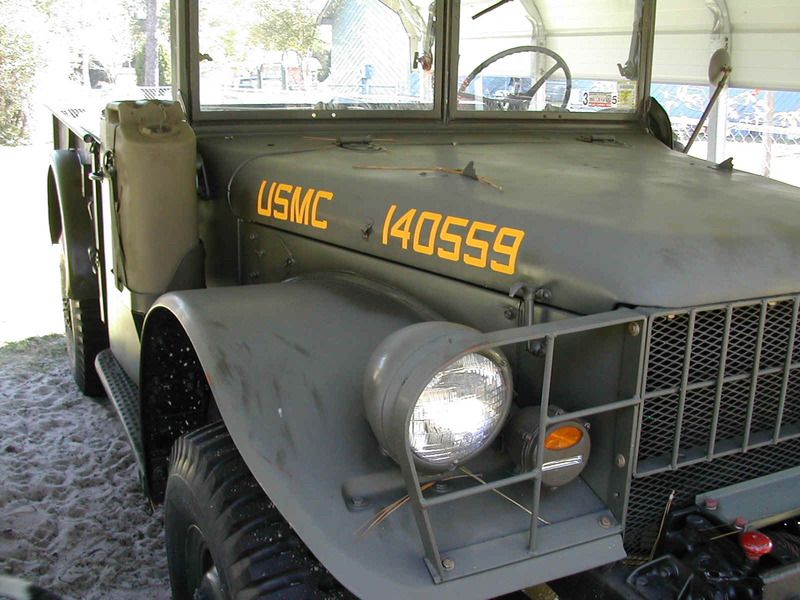 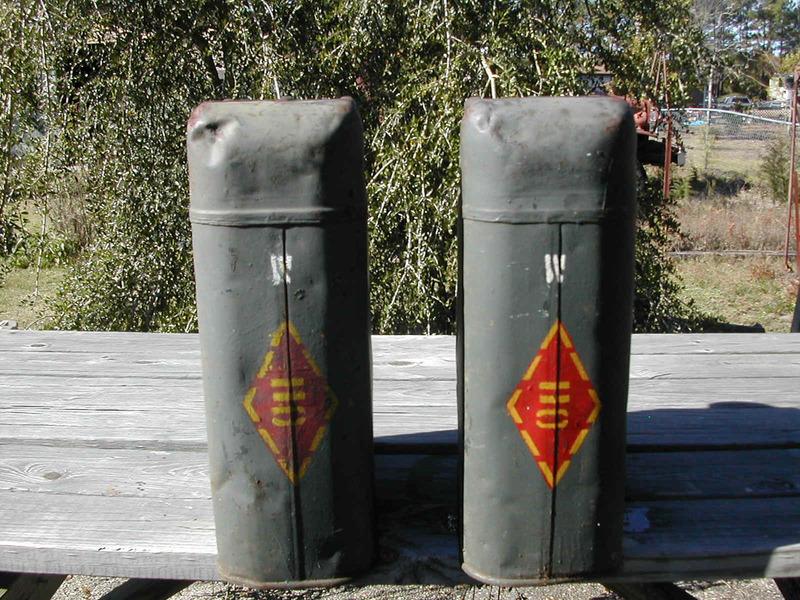 39-44 USMC M37shown in photos 1-6 above now sporting a more appropriate paint/stencil job. 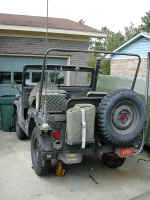 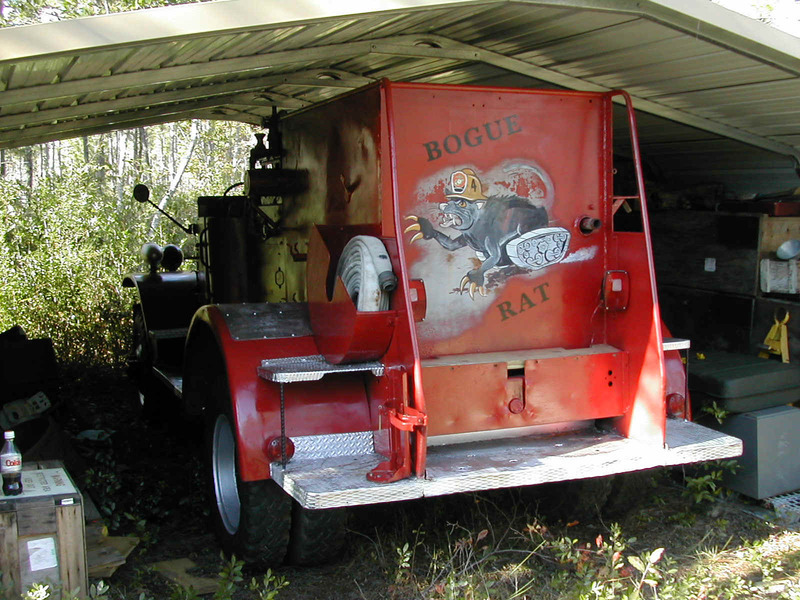 Tailgate shown on the truck is being dry fitted to insure new hinge pipe fits properly before rust repair and painting begin.